The shafts of the standard mills are supported at both ends. This design enables building and use of the mills for materials with any width and thickness.T herefore, standard mills are the most popular machines used to roll forming metals profiles. 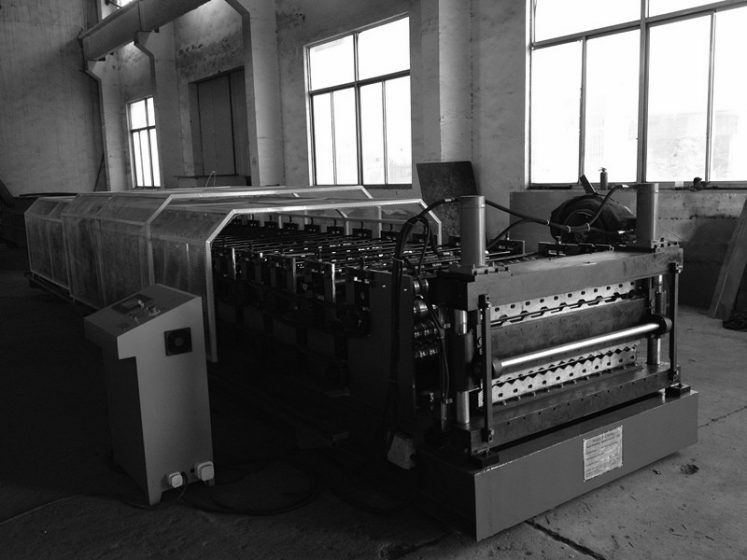 Believe Industry Company a professional roll forming equipment manufacturer in China and our team design and manufacturer customized profile roll forming equipment as per requirements. In most cases, the drive-side stand holds the shafts in position and accommodates the drive.The operator side stand supports the other end of the shafts. This stand is removable to facilitate roller changes. The technician fasten both the operators and drive-side stands to a common base. Fix the drive-side stands at one side location. And fix the operator-side stands at one position in most mills. In other types of mills, technician always place the operator-side stands into different locations along the shafts to accommodate wider and thinner material, or narrower but thicker material. The lines have one uncoiler and one cutting device. Feed the coils into the lower-level to form one profile. And if feed the coil into the upper level rollers, then another profile (e.g., IBR sheeting) is out. To accommodate the profiles exiting at two different levels, the cutting device also has two levels. The handling equipment for finished products beyond the cutting device adjustable up and down to suit the two product exit heights. Double-high mills save space, and the changeover time between two products is relatively short. However, because of the crowded condition, it is difficult to install side-roll stands, to make adjustment, or to check the forming conditions.